Moving house can be a very exciting time, but it can also cause some people a lot of stress. If you’re well prepared though, it doesn’t have to! A lot of the stress around moving comes from having to pack and carry fragile or heavy items to the moving truck. Luckily for you, we’ve created a list of the most annoying items to move in your house, so you’ll be fully prepared to handle them on moving day. It may not be something we think about ‘moving’, but when you move house, you’ll need your internet to move with you. Internet has become such a necessity in our lives that we rarely think about how we might need to go about moving it. Depending on where you’re moving to, you may not be able to use the same service provider, and you may not have the same quality of service you are used to. 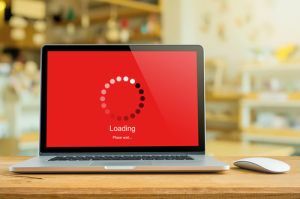 Make sure you start organising to have your internet connected at your new home several weeks in advance, so you’re not left for days or weeks on end without Netflix. Fridges are heavy, over-sized, and difficult to move because of the desire to avoid denting them. You’ll need several people to lift them and a clear space to the front door so you don’t bang the fridge on any walls or sharp objects. It makes it even worse if they were defrosted at the last minute and still contain moisture or excess water inside them. 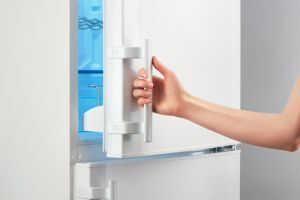 To make your job, and the removalist’s job, easier – defrost your fridge and freezer a few days in advance, and wipe them down until they are clean and dry. 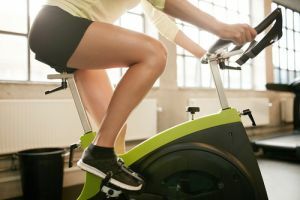 Exercise equipment can be very heavy, and it is generally difficult to disassemble when it is assembled professionally. This means that you’ll need to move it as is, which can be a difficult task. It’s awkward to carry, weighs a lot, and is generally quite large and bulky. So take your time with these items and make sure you have plenty of help on hand. If you can afford it, hiring a professional to get your exercise gear ready for moving might be a good idea. This will save you a lot of time and effort on the day. Knives are dangerous when you’re not moving, so with the added pressure of moving, it’s no wonder they’re annoying to move. 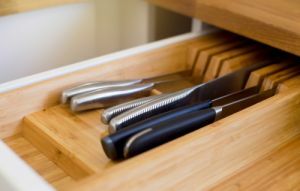 If you’re knives are very sharp then you need to be careful packing them up so you don’t cut yourself. Make sure you wrap them in lots of old newspaper to ensure that no-one will get hurt when handling them. If you have bubble wrap or spare towels, you can use these as well, but make sure they are labelled or stored separately so nobody accidentally grabs them. Store them in a box that is clearly labelled with ‘dangerous’ or ‘sharp objects’ so everybody knows what is inside. While indoor pot plants and the cactus you keep beside your bed might not be hard to move, the fruit trees and other large plants will be a lot trickier. 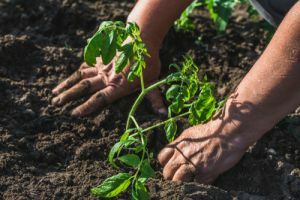 If you have trees that you have been growing for years in your backyard, you may feel that you don’t want to part with them, as you have spent a lot of time and effort getting them to where they are now. If you’re really worried about your plants then you can see a tree transplanting specialist, who can help move your plants safely to their new home. If you want to make your next move as easy as possible, then keep these items in mind when you’re packing up your home. When you prepare well in advance, everything won’t seem as scary on moving day, and you can try and keep your stress levels to a minimum.